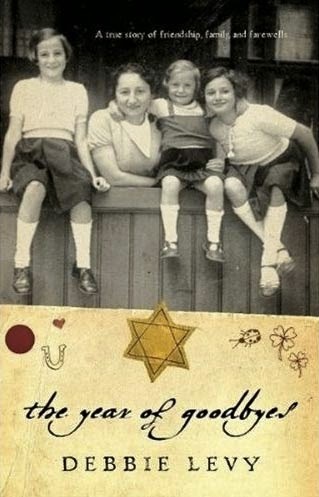 Debbie Levy is the author of many children's books, including We Shall Overcome: The Story of a Song, Imperfect Spiral, and The Year of Goodbyes. She has worked as a lawyer and an editor, and she lives in Maryland. Q: Your new book tells the story of the song "We Shall Overcome." How did you decide to write about the song, and what type of research did you do? 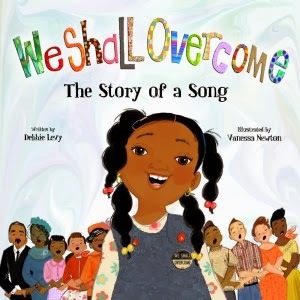 A: I began gathering string on the life of this song years ago, as “We Shall Overcome” and issues related to “We Shall Overcome” kept popping up during research on other books for young readers that I was writing. These included a book about bigotry, a biography of Lyndon Johnson, and a book about the lives of enslaved people on southern plantations. So I began filing my discoveries away. What went into the files, especially early on, wasn’t specifically or only about the song “We Shall Overcome.” In working on my book about plantation slave life, for example, I was captivated by first-person narratives of formerly enslaved people describing their songs and music. I have often been utterly astonished. . . to find persons who could speak of the singing, among slaves, as evidence of their contentment and happiness. It is impossible to conceive of a greater mistake. Slaves sing most when they are most unhappy. The songs of the slave represent the sorrows of his heart; and he is relieved by them, only as an aching heart is relived by tears. The precise words and tune of “We Shall Overcome” don’t date back to slavery days, but for me there is an undeniable connection between this song, which has so frequently been sung to embolden those fighting for justice and to comfort those who have suffered, and the songs of which Frederick Douglass spoke. I found, and the book chronicles, a history of voices upon voices singing songs that evolved into “We Shall Overcome,” with people making changes in lyrics and melodies to suit their circumstances. I wanted to create a book that could reach even the youngest readers, and put them in touch with the humanity and history of an activity they all know something about: the activity of singing. My research for this 32-page picture book was as far-ranging as any research I’ve done, and I’ve done a lot of research as a lawyer, editor, and writer. The sources range from songbooks to academic studies; from decades of newspaper articles (here’s a favorite headline from a 1967 New York Times article: “Popularity of U.S. Rights Hymn Irks German Reds”) to liner notes from LP records; from books about the civil rights movement to articles about African American song traditions to interview transcripts. Q: Was there anything else that particularly surprised you in the course of your research? A: Before I started my research, I had no idea that “We Shall Overcome” has been sung by schoolchildren in India for years. I believe that you are more likely to find kids in a school in Mumbai who know this song, and who have sung it at school assemblies, than if you go into a school in this country. Q: For your picture books, do you work with the illustrator in the course of creating the books, or do you each work independently? A: We work independently, although there is some consultation and fine-tuning by both author and artist as the final book comes together. I do not choose the illustrator—my publisher does. I wrote the manuscript for this book first, it was accepted for publication (by Disney/Jump At The Sun—back in 2008! ), and then the publisher sought out just the right illustrator. I’m thrilled with my publisher’s choice of Vanessa Brantley-Newton for this book. Her illustrations are vivid, lively, and interesting, hitting what I think is just the right note for a book seeking to engage young people. Plus, I love her use of collage elements in many of the illustrations, because the layering of collage underscores the theme that this song’s story is the product of many people and many voices coming together over the course of many years. 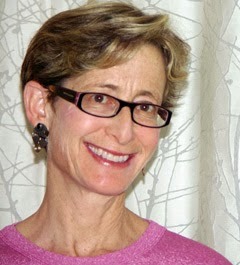 Q: You've written for different age groups, both fiction and nonfiction as well as poetry. Do you have a preference? A: I love it all. Really. Here’s my preference: writing things that get published. 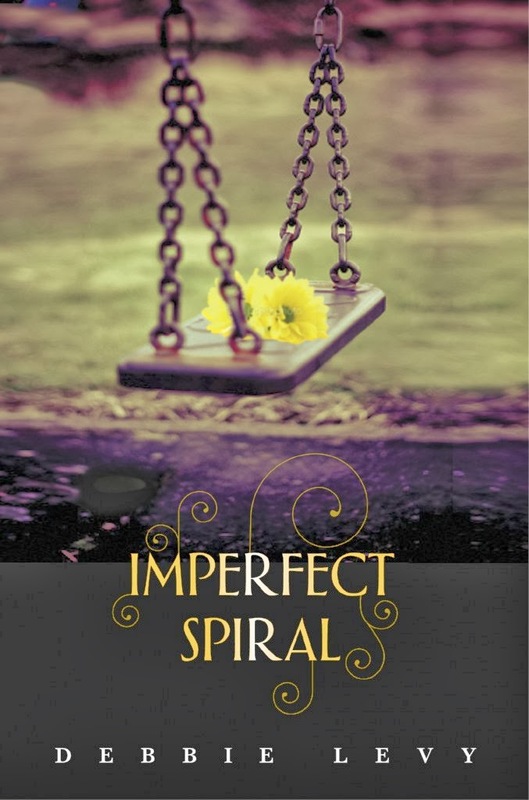 I’m trying to follow up on my 2013 young adult novel, Imperfect Spiral, with another novel, but I can’t say that I’m very far along. I keep getting distracted by irresistible picture book ideas. So right now I’m in the final editing stages of another nonfiction picture book, Dozer’s Run, due out this summer from Sleeping Bear Press. It’s the true story of a Goldendoodle who broke through his fence to join a half-marathon being run to benefit cancer research—and ended up inspiring the human runners, crossing the finish line, getting lost and then found, and raising more money for the cause than any other runner that day. And I’m working on a picture book manuscript set in the Civil War—also nonfiction. I do love the challenges of writing picture books, where the text is so brief that every word must be necessary and compelling and just so. A: Surely I’ve said enough! Thanks, Deborah, for asking me to participate in your blog. Okay, one thing: Like you, I’m a Deborah, although I’ve always been known as Debbie. When I was writing for newspapers and magazines, I used the byline “Deborah.” Then I started writing books for children and decided to go with “Debbie.” I’m sure I had a good reason. . . .